Sometimes something pops up on Pinterest which just makes me gasp, this week it was Minimalist Baker’s homemade vegan Nutella. HOMEMADE NUTELLA! This was too good not to try! It turned out pretty well, don’t you think? I love making food from scratch; knowing exactly what I am spooning onto my pancakes or into my biscuits because it was me who put every single one of those ingredients in there makes me grin. I halved the ingredient quantities listed in Minimalist Baker’s Recipe because I only thought I’d need one jar – what a fool I was! We may not have a word in English to equal the Danish ‘hygge’ but it doesn’t mean we don’t know how to do it; the smell of roasting nuts and melting chocolate pretty much hits the late January/early February spot in my book. 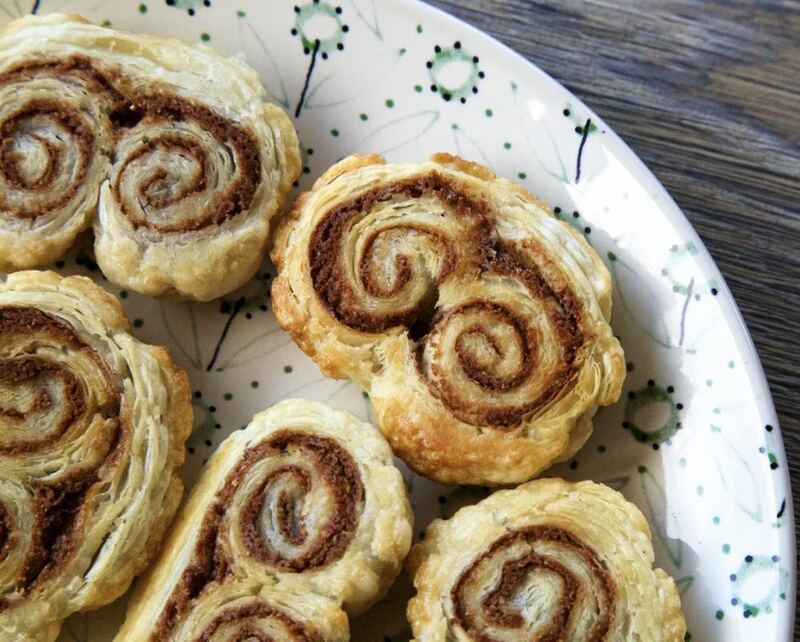 Add some crisp, warm puff pastry to the mix and it’s nigh on perfect…just watch as family and friends emerge, drawn by the warmest and most inviting of scents, to sit by the fire and savour these sweet little morsels. 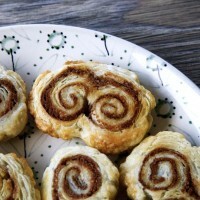 Vegan Palmiers with homemade Vegan Nutella – shall I take a bow now? 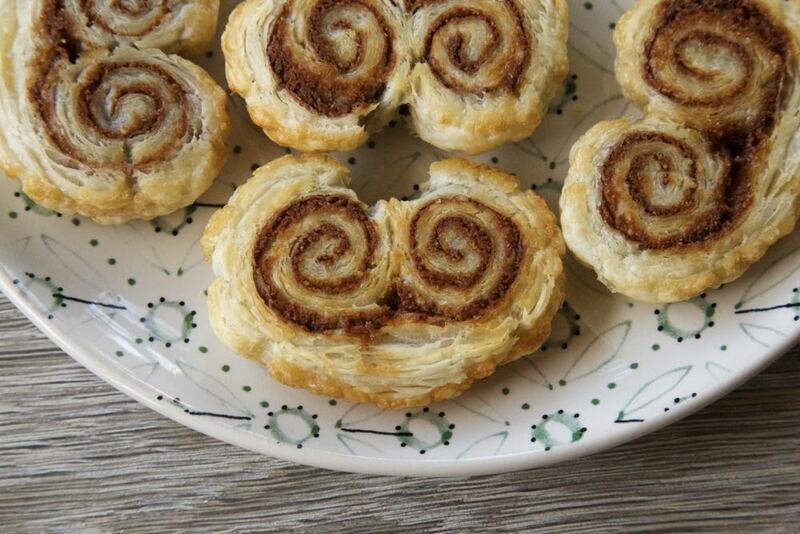 Everything about these vegan palmiers made me happy – look at them all lined up there like Greek Ionic columns! And then, once they are cooked and your house is filled with that lovely scent and you are nibbling away at them with a steaming cup of coffee or hot chocolate, you can pretend that they are moustaches! 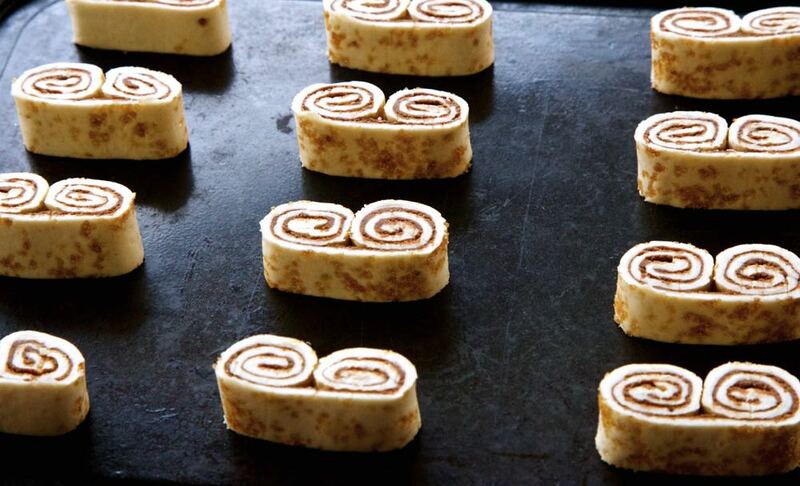 Oh my these look divine! 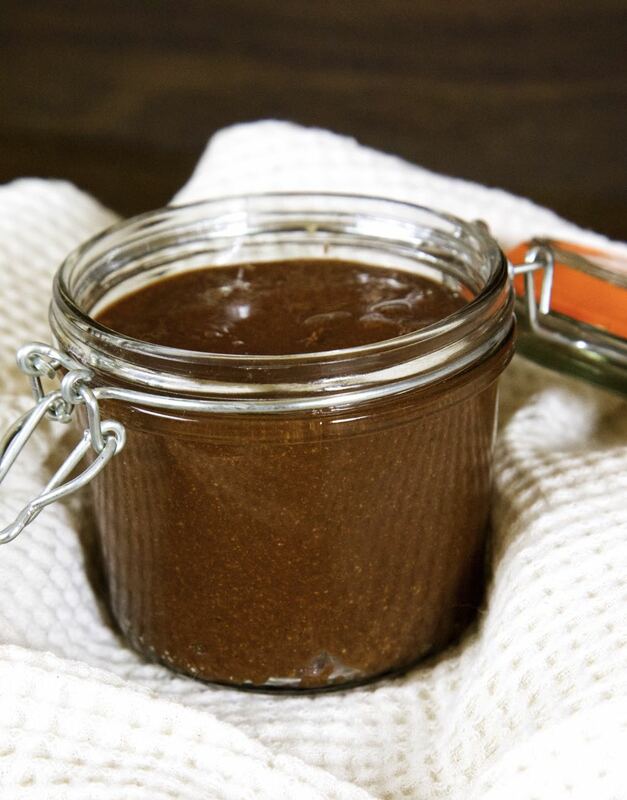 Love the sound of the homemade Nutella – I love the stuff but always have a bit of guilt over the palm oil. I saw these on Facebook and was drooling there. They look wonderful. Count me in!